IMVERSE at SIGGRAPH: Then And Now! 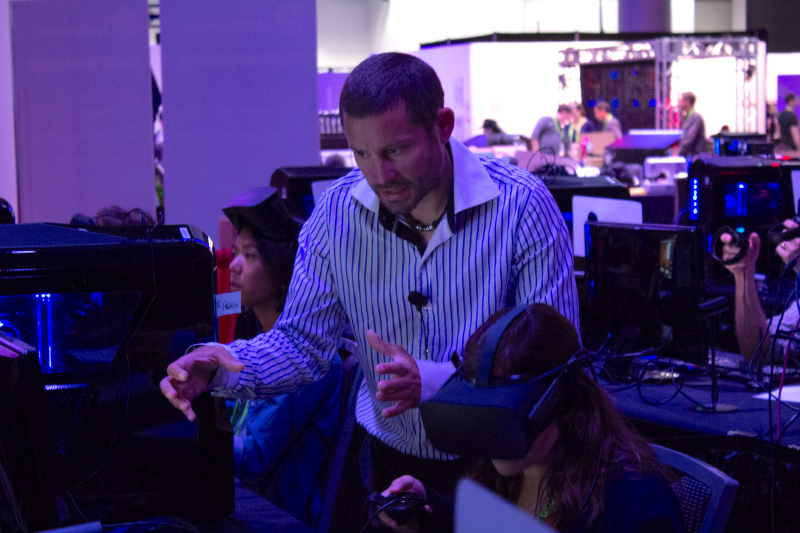 With SIGGRAPH 2018 in the rear-view mirror, this year’s participation in the conference represents a huge milestone: not just for IMVERSE as a company, but for me personally as well. It shows how far we’ve come in just 12 months’ time. Last year, we had a booth in the startup “Garage:” this year our LBE installation Elastic Time was selected for the “Immersive Pavilion,” we presented our technology at the panel “Creating Virtual Realities,” and we held a 3-day workshop about IMVERSE LiveMaker, the first-ever workshop in VR held at SIGGRAPH! It’s been a busy year. And we’re not slowing down anytime soon. Currently, we’re closing our seed round of 1.5 million, gearing up to release the public beta of IMVERSE LiveMaker, opening an LA office, and we plan to double the number of employees by the end of the year. How is this related to SIGGRAPH? Well, one of our goals that myself and Robin Mange had as co-founders was to see IMVERSE established as an integral part of the future of 3D graphics, driving the field forward; and there is no better place than SIGGRAPH to illustrate that. Our journey from a tiny table in the “Garage” to our current presence shows us that we are on the right path for a revolution in content creation and the entertainment industry: and that path is voxels. 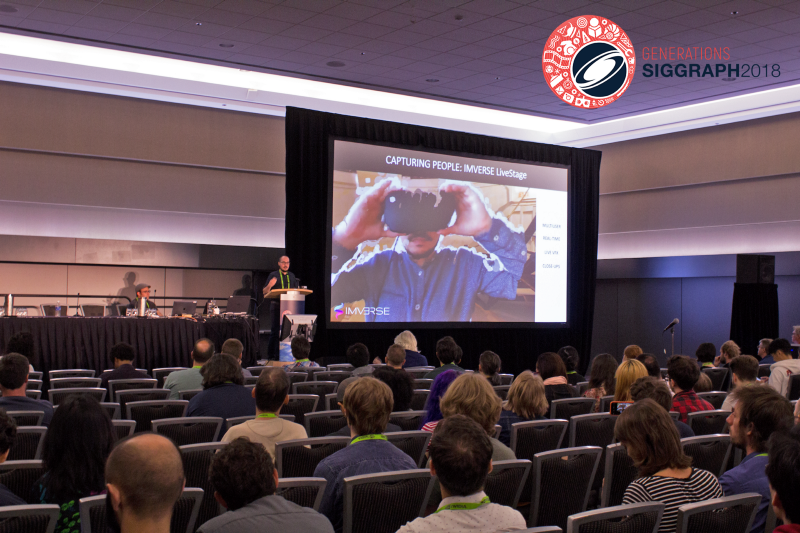 For me, one of the most notable achievements was to hold the first-ever VR Workshop in VR at SIGGRAPH, titled “IMVERSE LiveMaker: Construct a Sample VR Environment From a 2D Photo Inside VR”. The feedback was beyond excellent: I am incredibly proud of my team, and the work put into making this workshop a success. 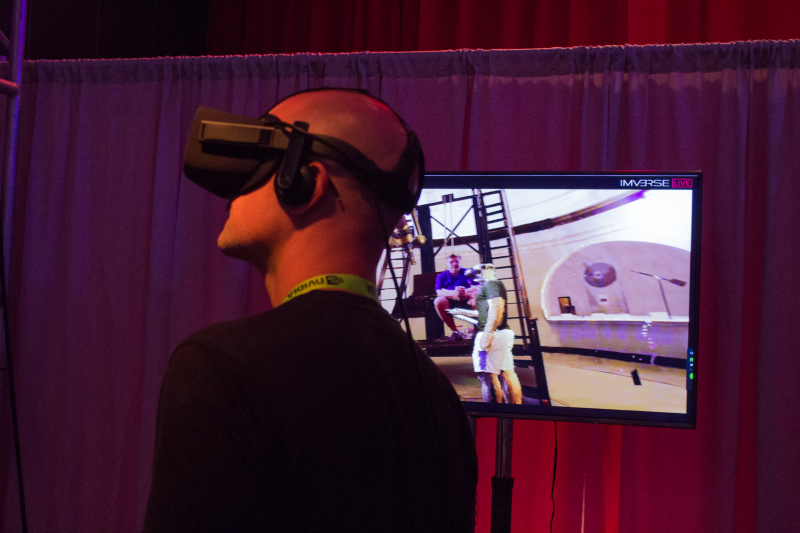 For the workshop, SIGGRAPH provided 40 fully-equipped workstations with VR headsets. Using these workstations, we taught attendees how to reconstruct a museum room, furniture, doors, painting frames, how to edit the scene, the objects and much more, using our LiveMaker software. IMVERSE is a 3D graphics software company. Showing a creative experience built on our technology helps our audience understand that we really (yes, really!) can achieve real-time volumetric capture. We showcased our real-time hologram solution with “Elastic Time” at our booth in the “Immersive Pavilion”. Visitors (one or multiple) entered the stage, and we captured them live: no recording, just immediately looking at your 3D photorealistic body in VR, and seeing how others together with you as life-size holograms. But to me, it was even more important to once again hear and see the excitement of our guests coming out of our mixed reality hologram experience. That, more than anything, tells me that we are on the right path: users being able to see themselves as they are, users being social, being able to do a high-five with a friend in both the real world and in the virtual one inside their headset. 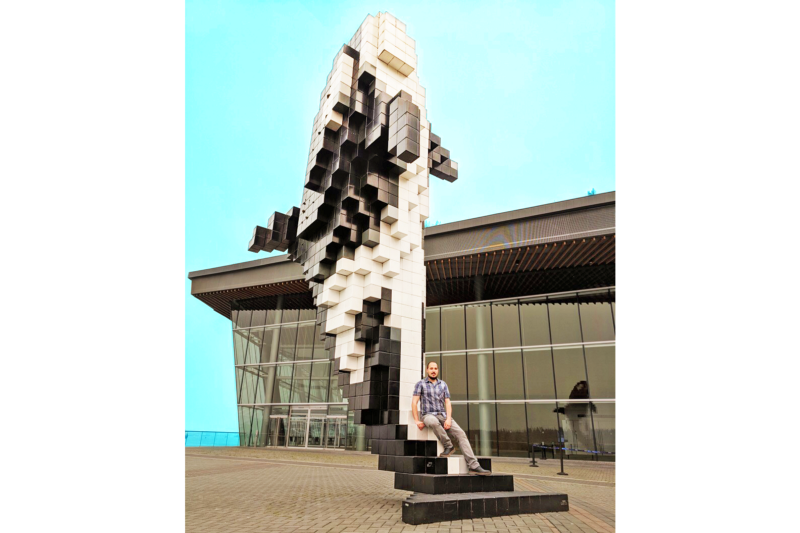 Goodbye to Vancouver’s first generation voxel whale, welcome to Imverse’s voxel future! We’ve come a long way in one short year. We came away from the conference with great new market contacts, potential hires, and countless discussions and exchanges with main industry players. But my most important and personal takeaway from this year’s SIGGRAPH isn’t about the past: it’s looking to the future. We are still at the forefront of voxel technology, and there is a clear market fit for both the holograms and our reconstruction software. Users are thrilled and delighted when they get hands-on time with our product. And we’re continuing to grow, and push the boundaries of what technology can do. In other words: This is just the beginning.